Fleetwood Town Football Club is a professional association football club based in the town of Fleetwood, Lancashire, England. 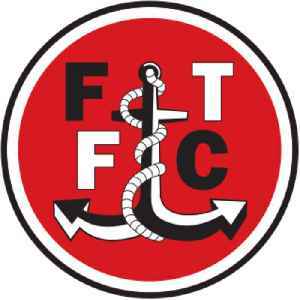 Established in 1997, the current Fleetwood Town F.C. is the third incarnation of the club; it was first formed in 1908. The team compete in League One, the third tier of English football. Their home strip is red shirts with white sleeves and white shorts. The home ground is Highbury Stadium in Fleetwood, and the supporters are affectionately known as the Cod Army. The club won the 2011–12 Football Conference, and played in the Football League for the first time in its history in the 2012–13 season. In May 2014, at Wembley, Fleetwood won the promotion play-off to League One, the club's sixth promotion in 10 years. 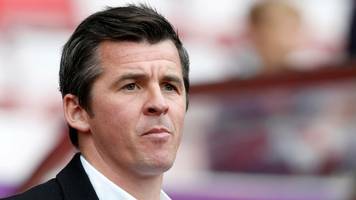 Police are investigating an alleged incident involving Fleetwood manager Joey Barton after the former Manchester City player was accused of assaulting his Barnsley counterpart following the team's..
Police are investigating an incident allegedly involving Fleetwood boss Joey Barton in the tunnel after their League One match at Barnsley.